A must-have in every wardrobe, the short sleeved t-shirt from Gant is always in style. The black colour and cotton (100%) material are two great features of this shirt. 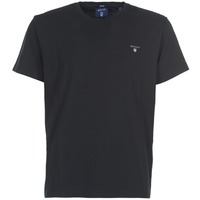 Style and comfort are guaranteed this season with this masculine t-shirt.